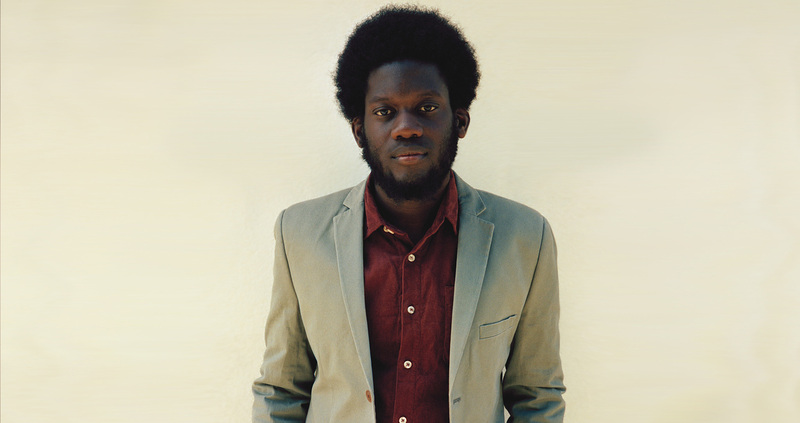 Michael Kiwanuka, one of the most thrilling voices in contemporary soul music, made his first full New Zealand concert debut in April 2013. Winner of the prestigious BBC Sound of 2012 and a Mercury Prize nominee, the UK singer-songwriter performed just two intimate New Zealand shows at Auckland’s Holy Trinity Cathedral & Wellington’s Old St Paul’s. Kiwanuka’s hugely successful debut album Home Again has seen his voice compared to the timeless sound of Otis Redding and Marvin Gaye. The BBC called it “a rich, weathered instrument that appears to carry more than 24 years’ experience”. For anyone who hasn’t yet been to a show at the Holy Trinity Cathedral at the top of Parnell Rise, it can definitely be called an interesting experience. A far cry from the usual sticky floored dive in Auckland City, tea and coffee was on offer at the door, to a crowd that probably had more bald and grey heads than your average parent teacher interview. And while the promoters did an ample job of minimising the church/school hall aesthetic, it was still apparent that I would be removing my hat on entry. A long concrete air-bridge ran between two pillars atop the stage, led to by a single isle between a raft of cushioned wooden seats. The Cathedral was well lit with oranges, reds and yellows, adding to the warmth of a setting crafted lovingly out of wood, concrete and exquisite stained glass. This was certainly a venue that was primed for an intimate performance. But from the moment he picked up one of the 5 guitars on stage, plucked the first note, and launched into what could probably be described as an alt-Americana, slide guitar freak out, it was 100% Michael Kiwanuka. This dude owned his show. Moving gracefully into Tell Me A Tale, probably his biggest radio hit in New Zealand so far, the band compensated for the lack of extra instrumentation with stark rhythm section changes and vocal melody. At one point, Kiwanuka replicated the flute and horn lines (of which there are plenty) with his voice. During the rest of the set, the singer indulged in plenty of his new, unheard material, hinting at a slightly country influenced approach, however time was spent on notable singles like Home Again and Lasan. Kiwanuka also shed the drums and bass for a few tunes, declaring “all my tunes start with me and my guitar. So I’m going to play a couple songs, just me and my guitar”. A few tuning stops and guitar/bass changes slowed the show slightly, which he apologised for, though he probably didn’t need to. A stage devoid of roadies and audio engineers contributed to the intimacy of the setting, which was well preserved in such a cavernous space. Finishing the set with a blistering cover of Jimi Hendrix’s Waterfall, the trio showed off a rockier side that had been teased throughout the show, displaying versatility in Kiwanuka as a band leader. A re-found love for guitars was his explanation for a lot of the material he chose for the evening, in a set that traversed moods and approaches to show that I had possibly underestimated his string skills. A triumphant and technically effortless encore of I’ll Get Along tied things off nicely (he obviously wasn’t going to finish with a cover), and the show was over. A wonderful evening of ebb and flow, spooky, beautifully sad and powerfully uplifting, Kiwanuka did a fantastic job of using the space to his advantage. While I was initially skeptical of how he was going to replicate the multi-tracked instrumentation of his recorded material, any concerns were quashed with a rock solid backing band, and technical accuracy throughout.